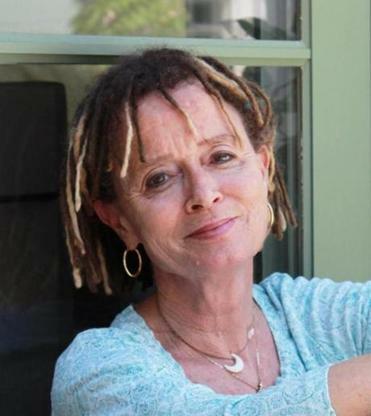 My first encounter with Anne Lamott was a semi-satirical essay in Salon about her late-middle-age year on the dating site Match.com. Now collected in “Small Victories,” the piece mixes sarcasm with emotional sincerity, astute observation with self-congratulation. Nevertheless, Lamott, 60, admits to being lonely. So she embarks on a series of dates that make her “mourn the old days, when you met someone with whom you shared interests, chemistry, a sense of humor, and you started going out.” Instead, the profusion of options seems to inspire even promising Match prospects to disappear. Not all of the two dozen essays here, grouped into four sections — “Companions,’’ “Families,’’ “Airborne,’’ and “Ground’’ — have such a clear narrative arc. But, like “Matches,” most balance wry, acidic humor with deeper feeling — most often, a longing for grace and a sense of gratitude for its manifestations. That seems facile. But Lamott also writes compassionately about near-universal challenges: difficult parents, emotional betrayal, the ravages of illness and grief. Too many of her intimates have been afflicted with serious illnesses, including Lou Gehrig’s disease (ALS), cancer, and dementia. She portrays them, for the most part, as courageous, life-affirming role models. In “Prelude: Victory Lap,” Lamott describes hiking Muir Woods, north of San Francisco, with her friend Barbara, who has ALS, a walker, and an iPad-based computer voice. Wrestling with her anger toward her dead parents is a far-tougher slog, and provokes some of her most powerful writing. In “Dad,” she relates that she adored her alcoholic, philandering father and, when he developed brain cancer, devoted herself to his care. Decades later, his former girlfriend sends along his journal, in which he criticizes Lamott for having “tried too hard to be brave and hopeful.” How can she possibly forgive this? Only, it seems, by tuning in to her pain and seeing her father in all his fearful human complexity. Julia M. Klein is a cultural reporter and critic in Philadelphia and a contributing editor at Columbia Journalism Review. She can be reached at julklein@verizon.net or follow her on Twitter @JuliaMKlein.